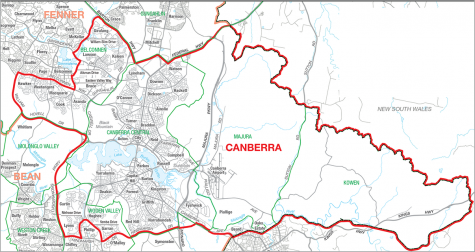 Redistribution details: A redistribution last year means the new seat of Canberra covers predominantly the national capital’s inner suburbs, Majura and Kowen in the territory’s north east and parts of Woden Valley. 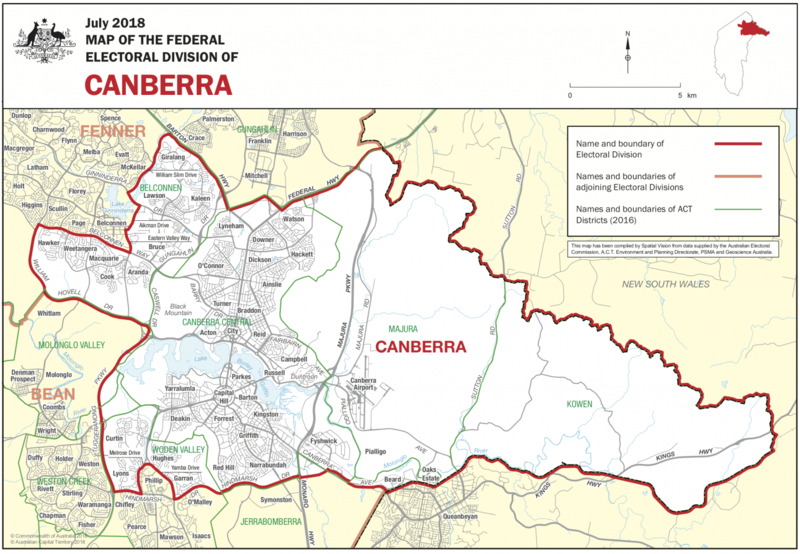 Key Comments: The seat of Canberra has been a Labor enclave for decades but a redistribution last year has significantly affected its demographics, and is now dominated by inner city suburbs. This shift, and the retirement of the popular sitting member, has opened the way for a strong challenge from the Greens. Alicia Payne, the Labor candidate for the federal seat of Canberra has a simple campaign message. The issue of climate change must be at the forefront of the policy agenda. The Liberals have taken a step towards answering pressure from critics, by selecting a candidate who is a woman, an immigrant and a Muslim. After 14 months of deliberation on his citizenship status, Tim Hollo will run as the Greens Party candidate for the reshaped electorate of Canberra in the ACT.